← Friday’s Foto Fun – Howl-o-Weenie! This time I really am going on a little trip. Kind of like in last week’s Where In The World? I’ll tell you all about it when I get back. 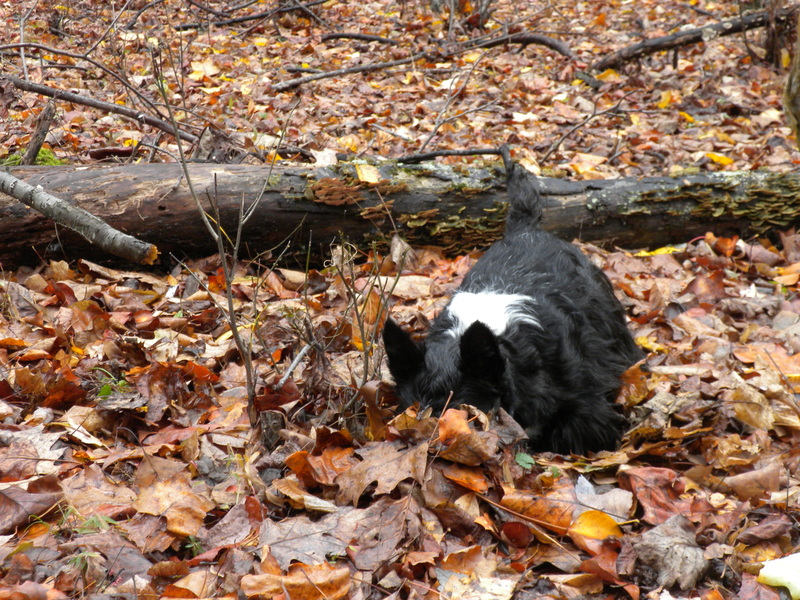 This entry was posted in The Scottie Chronicles and tagged dogs, Scotties, The Scottie Chronicles, travel with dogs. Bookmark the permalink. Oh boy! How exciting! I hope you have fun WHEREVER you’re going Stuart! Are you going back to the Smokeys? You and your Peeps have a fantastic time wherever you are going Stuart! I think you’re in ground squirrel country. Otherwise you’d be looking for squirrels in the trees. Chippers? Opossum?, Squirrel? Oh I know, green bean hunting! Go Stu – get the little buggers. Without my first cup I thought there was a skunk in the leaves. I’m so sorry. It all became clearer after coffee. Looking forward to the trip report. Shopping for a field mouse snacky? I bet there are some amazing sniffs to sniff there! !